I’ve already covered all the details concerning NordVPN in this comprehensive 2019 review. However, there are still some users, who want specific information regarding its iPhone/iPad application. To provide you complete details on NordVPN’s iOS functionality, I’ve created this in-depth iOS guide. In here, you will find information concerning the app and its performance on various iOS devices and streaming platforms such as nordvpn netflix compatibility. These include the infamous 7, 8, X, and their Plus models. So, if you want information on NordVPN for iPhone, you are at the right place. Continue reading below! I have tested the NordVPN iOS on all latest versions of the iPhone. To my surprise, there were no significant changes or differences, regardless of the iOS model you use. Launching the app, gives you access to the same map interface, as other clients. In comparison to Android though, the iOS map tends to be rather easier-to-use and navigate for server selection. 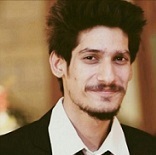 Users can also zoom in and out quite smoothly, adding to the user-friendliness of the application. I experienced no lagging or connectivity issues, a rare sight for iOS users. There is a “Quick Connect” option available if you want instant anonymity. At the same time, the developers have added a “Countries” option, which is missing in the Android application. In the Android version, you need to swipe up to access locations. Even so, you do not have available a “Region” menu, which is found in the iOS version. This means you can directly choose a US server in Los Angeles, Seattle, Boston, Philadelphia, Detroit, and many other cities. So, that definitely works in favor for iPhone 7/8/X/Plus users. However, where there are positives, I did encounter some negatives too. It was disappointing to see that the specialty server listing is shorter than Android and Windows versions. The only options iPhone 7/8/X/Plus users have available are: P2P/File Sharing and Onion over VPN. I could not see any Dedicated IPs or DoubleVPN servers to connect to. The developers have also restricted iOS users access to several important features, like Obfuscated Servers (for unblocking websites/services in China), auto-connection, TCP/UDP protocol control, or CyberSec (that helps with malicious IP filtering). However, upon digging into the matter, it came to my knowledge that this is not a problem with NordVPN. It is a problem concerning iTunes’ security policies. The store technically places limits on what varied applications can do. This is quite similar to how Google Chrome is cracking down against VPN applications around the world. For instance, the popular browser is removing VPN applications that come equipped with ad/tracker blockers, as it does not meet their community guidelines. Setting up NordVPN on iOS is not rocket science. The process is actually quite simple, just like downloading/installing any other iOS application. Subscribe to any suitable plan from NordVPN by clicking here. Go to your iTunes store and search for “NordVPN” in the navigation bar. Click on the first option and then hit the “Install” button. Wait for the download and installation process to complete. Launch the application and “Accept” the pop-ups that require rights. Enter the username and password you set while subscribing to NordVPN. 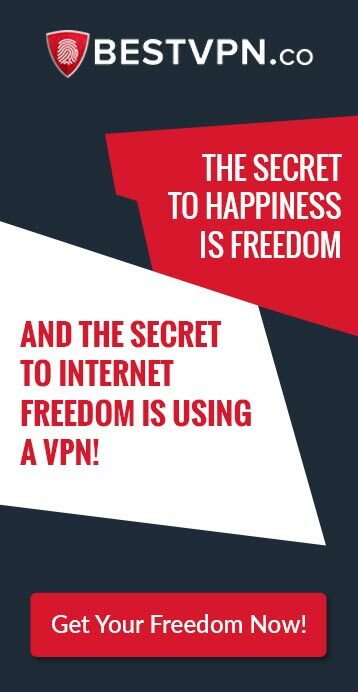 Enjoy using the VPN to unblock VoDs, engage in torrenting, or to hide your identity. With the Chinese Government cracking down on VPN services, finding one that actually WORKS in the mainland can be a task. Residents and expats visiting the country only have access to a handful of names. Most of these providers tend to be government-approved. This means, they do not protect your privacy and may log all session/connection information, hindering your right to online privacy. NordVPN exists as the only provider in the marketplace currently with the second being ExpressVPN, to offer support to Chinese users. They have launched a dedicated Chinese page. 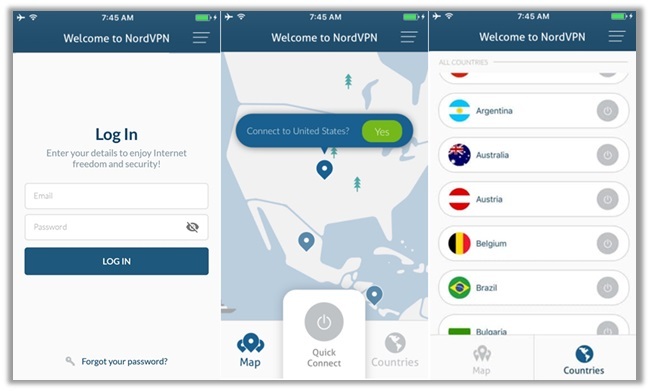 Simply visit http://nord-for-zh.com/ and follow the steps for downloading NordVPN on iOS. This should help you bypass “The Great Firewall”, allowing you to continue using your favorite foreign apps/services in the country. Read China VPN guide for more detail. As mentioned earlier, while reviewing the NordVPN iOS app on the iPhone 7/8/X/Plus, I noticed that plenty of features were missing. This included the Obfuscated Servers menu. However, this does not mean, you cannot use them. If you have a laptop, you can find this feature on your Mac or Windows application. Simply activate it for sites you feel that require extra security. Once done, try connecting to any of the servers listed below. These tend to offer better performance and anonymity to users in China or expats visiting the country. With this, I come to an end of this NordVPN for iPhone guide. I hope it gives you the relevant knowledge you required regarding the iOS app and its usage on iPhone 7/8/X/Plus counterparts. Regardless, if you have any additional queries or require assistance, do not hesitate on dropping a comment below. I will reply with an answer personally. Also, feel free to share the insights in this guide to other users looking for specific information about NordVPN and its compatibility on iOS devices. Have a nice day!